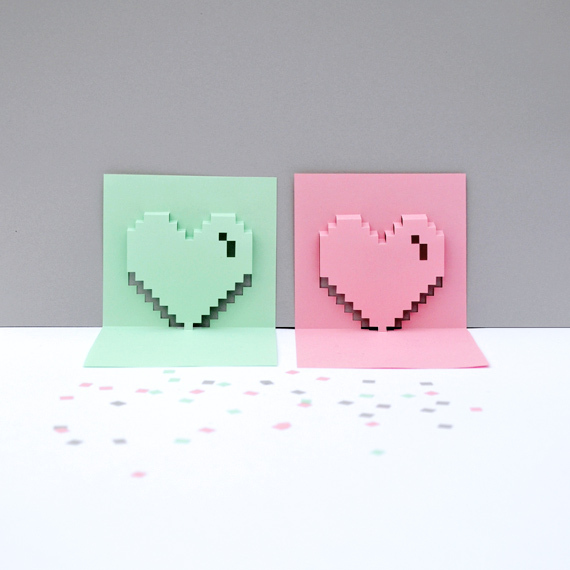 ‘Cool boys in love’ will score with this beautiful pop up pixel heart from Mini Eco. It’s a template you can download from their website. How kind that is. So be creative and impress!